Since 1986, our Bozeman, Montana - based staff and crew have applied their artistry and expertise to over 240 original projects throughout the U.S., promoting the beauty and integrity of regional architecture that resonates with the iconic landscape of the west. From refurbishing chicken coops to creating 30,000-square-foot homes, we've done it all. And though we specialize in a rustic aesthetic, we're equally comfortable with sleek steel and concrete. Each member of our team contributes unique talents to our projects; all contribute a level of genuine passion that has enabled our varied clients to realize their dreams for over 30 years. Whether you wish to start from scratch and manifest your unique vision for a custom home or breathe new life into an existing space, our team of artists and craftsmen will transform your ideas into a beautiful, tangible reality. Our projects include custom homes, custom commercial developments, ranch redevelopments, and building restoration. As an added plus, our custom Millworks Shop has over 20 years of experience building custom cabinetry, furnishings & doors. Our master craftsman take pride in handcrafting each piece from materials old & new, customized to accommodate the needs and desires of our clientele. Lone Pine Builders goal is to provide maximum quality and craftsmanship within a given budget. We pride ourselves in our attention to detail and more importantly, our integrity. We are not simply building homes, but are building relationships as well. Lone Pine Builders strives to create a cohesive working relationship between the owner, architect and subcontractor. We believe that perfection in the final product is possible through teamwork and communication. 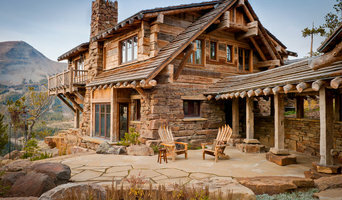 General contractor that specializes in custom homes, log, timber frame, and traditional style homes. Remodels, decks. Unmatched craftsmanship, excellent customer service. Our work speaks for itself with excellent references. Let us make your next project a reality. Dovetail Construction has decades of experience helping couples, families, and businesses create spaces of lasting quality. Whether it's custom home construction, commercial construction, remodels or renovation, Dovetail's experience and commitment to client satisfaction ensures you will enjoy the project process as thoroughly as the final results. General contractor specializing in architecturally designed custom homes. Licensed in Colorado, Montana, Wyoming, Utah & Wisconsin. Black Label was started to take a very time tested model and turn it on it's head a bit. Building can be a very detailed, expensive venture that inherently has the feeling of an emotional roller coaster at times. There are scores of people involved and many ways obstacles can pop up along the way. We change the norm up by approaching a project with our clients as member of our team and offer an experience that's positive, professional and transparent. A new home is big commitment for you and we treat it as such with everything we do. Welcome to Ebbighausen Homes, one of southwest Montana’s premier home builders. Our love for the great Montana landscape serves as inspiration for the homes we build. Utilization of natural materials and resources act as a palette against a pristine backdrop. Andy and Heidi Ebbighausen have been building homes in the Gallatin Valley since 1996. Andy is a second-generation Montanan and builder with a love of the great outdoors and a passion for building. Apparent in Ebbighausen Homes’ own unique home designs is the attention to detail and the joy of working with each customer. Customers will tell you that Heidi is invaluable in helping them with interior design. She enjoys a close working relationship with subcontractors: this, matched with organizational skills and an eye for design, brings homes together beautifully and gives them a woman’s touch. Jason Utz joined our team as a framer 21 years ago and he now plays an essential role as our Job Foreman and Construction Coordinator. He is truly dedicated to the satisfaction of each customer. The entire crew at Ebbighausen Homes, backed by a great team of subcontractors and vendors, strives to build energy efficient Montana homes that clients and their families will cherish for generations. 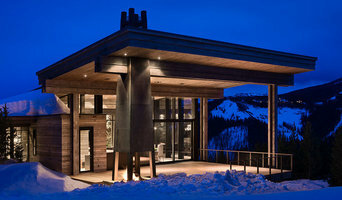 M Squared Construction specializes in High-End Mountain Construction in Bozeman, Montana. We offer the highest quality craftsmanship to the most discerning clients. Our management team will be on-site every day to ensure no detail is overlooked. As our primary service, we offer everything possible throughout your construction process. We have been encompassing ourselves in the building industry since the 90’s and have extensive management and hands on experience to tackle any project. It’s our motto “Pride in Achievement” that ensures you will get the outstanding product and services you seek from start to completion (and years beyond) for your project. Build time will vary depending on the scope of the project, weather, and time of year. We will build full master schedules for all involved parties to review, starting in the budgeting phases. Plan design, bank approval, and city permits may take up to two months. We build to the highest standards, follow all applicable building codes (even if there is no local jurisdiction) and offer a well-rounded package to ensure the consistency of our projects. If You Can Dream It - We Can Build It. 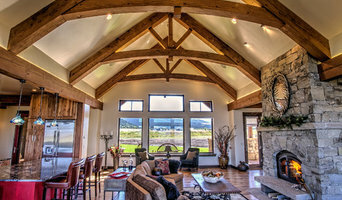 Anders Lewendal Construction, of Bozeman, MT, is a home builder who strives to provide the finest value in custom homes. The homes we build are a reflection of the quality, endurance, and perfection we expect in our own families' homes. Clients of Anders Lewendal Construction live in the comfort of knowing that their home is founded on principles of simplicity, excellence, and personal pride. We focus not only on quality but being ahead of the curve in energy efficiency, green building practices, and consumer education. At ALC Inc we believe that a home is a usable piece of art. The homes we build will not only be beautiful and creative but will last more than a lifetime. AA Craftsman, Inc. provides a unique service that combines home-remodel consulting with custom craftsmanship. We are committed to making sure your remodel is a rewarding experience. For over ten years we have built our business on word-of-mouth referrals. Satisfied customers are our lifeblood. References are available upon request. 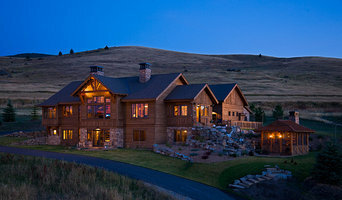 Highline Partners is a boutique homebuilder located in Southwest Montana. Highline specializes in green, sustainable, and unique projects of various architecture vernaculars. We at Highline Partners work very close with our clients in able to build and complete the home of their dreams. Trademark Construction, Inc. has been in business since 1994. They have built custom homes, barns, residential, and commercial buildings, as well as extensive remodeling projects throughout Southwest Montana. Methods of construction include Timber Framing, Log Construction, Alternative Energy and Reclaimed Lumber. General, or construction contractors, are often known as project managers. They oversee the entire remodeling or new home construction project and facilitate all day-to-day tasks that move it toward completion. A Big Sky general building contractor will work with your architect to review plan as you build a house and ensure everything is in place before work is started as well as arrange for permits and necessary inspections. While good local home improvement contractors in Big Sky will have the skills to handle certain tasks onsite, such as carpentry, he or she is also responsible for hiring subcontractors for the majority of jobs, such as electrical work, painting or plumbing. In addition, the general contractor should be on-site regularly to inspect the progress and resolve issues. Here are some related professionals and vendors to complement the work of general contractors: Architects & Building Designers, Interior Designers & Decorators, Landscape Architects & Landscape Designers, Kitchen & Bath Designers, Specialty Contractors. Home remodeling contractors are a must for successful completion of a renovation. Because of this, it's essential that you do your homework before deciding on the right general contractor in Big Sky as you remodel or build a house. Inspect bids carefully. Was it ready when the contractor promised it? Was the bid for building a home unusually high or low? Each of these things can be very telling: A late bid may reflect timing standards, and an off-the-mark bid could be code for a pricey premium or a deliberate underbid to score the remodeling job. You should call references, carefully read reviews and visit completed projects in Big Sky, MT to see if they’re what you expect for your job. Once you do secure your local Big Sky contractors, read the contract very carefully to be sure everyone is on the same page. Find a Big Sky contractor on Houzz. 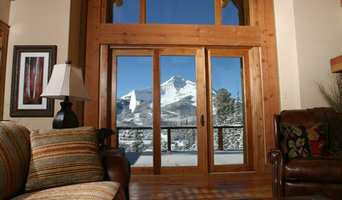 Narrow your search in the Professionals section of the website to Big Sky, MT home contractors. You can also search for photos in Big Sky, MT and contact the Big Sky general contractor who worked on the project.